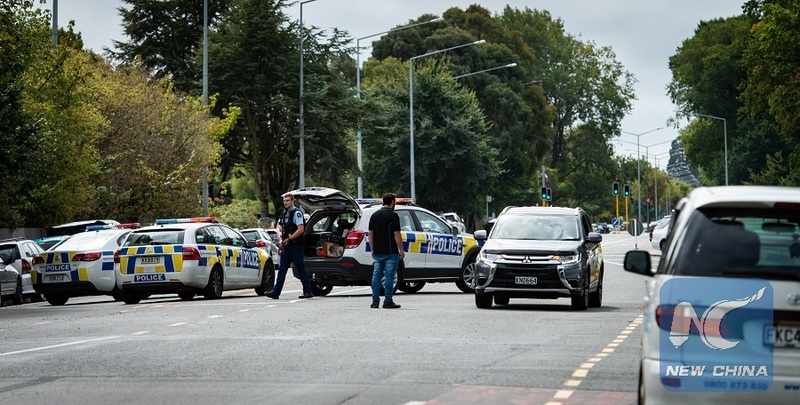 CHRISTCHURCH, New Zealand, March 15 (Xinhua) -- Gunmen stormed a mosque in Christchurch in New Zealand, which resulted in at least six people dead, local media reported. It reported that at least two gunmen opened fire at a mosque in Christchurch. Witnesses described that there are blood and multiple deaths. Armed police have been deployed. Local schools are locked down.